When Should You Get a Flu Vaccine? The push to get flu vaccines usually starts sometime in August or September in the United States. It is impossible to predict exactly when flu season will get underway each year so the general thought on when to get flu shots is "the earlier the better". However, research shows that flu vaccination rates drop significantly after the end of November. Whether it's because people think it's too late to get vaccinated or it's just not on your mind anymore because of the holidays, getting vaccinated is important no matter how late into the season we get. For this reason, the CDC started the National Influenza Vaccination Week campaign in 2005. The goal is to remind people that getting a flu vaccine in December or even later is still a good idea. Flu season typically peaks sometime between December and February but it can stretch into April or even May. 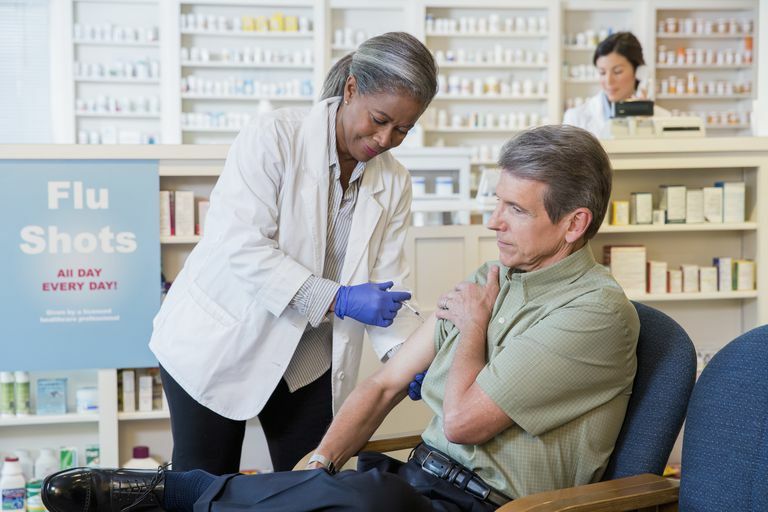 The flu vaccine takes two weeks to become fully effective and build up immunity in your body to the virus, so getting it as soon as possible is best. The CDC recommends that everyone over the age of 6 months be vaccinated against the flu each year. Influenza is a serious illness that can affect anyone. However, some years (most recently during the 2009 H1N1 pandemic and the 2013-14 flu season when H1N1 was the predominant strain again), adults between the ages of 18 and 64 have been the most vulnerable to the virus. Although the vaccine doesn't provide 100% protection against the flu, it is the best option we have to prevent illness from influenza. Children under the age of 9 who have never had a flu vaccine before will need two doses spaced 30 days apart. Talk to your child's ​healthcare provider about the best vaccine option for your family. There are multiple flu vaccine options available. Which one is right for you depends on your age, risk factors and health status. You need a flu vaccine every year because there are multiple flu viruses that circulate and mutate. The strains that make people sick from year to year change and immunity from previous flu vaccinations fade. Getting your yearly flu vaccine is the best protection against the virus. Flu vaccines have been administered for decades. Millions of doses have been given and their safety and efficacy is well established. They offer the best protection modern medicine can provide against influenza. Remember: CDC says an annual flu vaccination is the best protection against flu. Get your flu vaccine and encourage others to do the same by sharing your flu vaccine selfies on social media using the #VaxWithMe tag! "Flu Activity During the 2013-2014 Flu Season". Questions & Answers 2013-2014 Influenza Season. 26 Aug 14. US Centers for Disease Control and Prevention. Department of Health and Human Services. "What You Should Know for the 2014-2015 Influenza Season". 2014-2015 Flu Season. 5 Nov 14. Seasonal Influenza. US Centers for Disease Control and Prevention. Department of Health and Human Services.